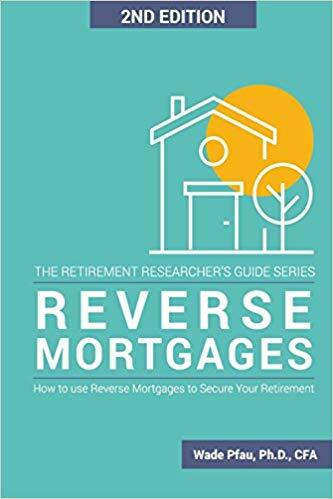 The following information comes primarily from the book “Reverse Mortgages: How to use Reverse Mortgages to Secure Your Retirement” by Wade Pfau. Stout Bowman & Associates has no affiliation with Dr. Pfau or his publisher. At one time, reverse mortgages had a bad reputation. In addition to being heavily marketed by celebrity spokesmen, abuses and misuse were rampant. 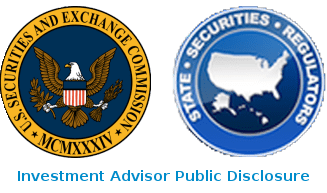 As a result, the federal and state authorities stepped in and tightly regulated the products (as evidenced by the fact that the paperwork to get a reverse mortgage now exceeds that of a regular mortgage!). Like most financial planning solutions, it has a specific purpose that can provide a particular benefit or address a measurable risk. In this article, we will cover only the Home Equity Conversion Mortgage (HECM), the most popular type of reverse mortgage, and the one most suitable for retirement income planning. A reverse mortgage is conceptually the same as a traditional mortgage, except that there is no set monthly repayment required. Instead of using the money only to purchase or renovate a house, the proceeds of the reverse mortgage can be used by the borrower for virtually anything they wish. To qualify, you (and any other person on the title — Texas requires all borrowers) must be at least 62 years of age (there are special rules if a spouse is less than 62), have no other federal debt, have enough income to cover tax, insurance and maintenance expenses associated with the house and receive certified counseling on home equity options. The property must be your primary residence and meet all FHA property, flood, health and safety standards and receive an FHA appraisal. First, let's dispel one of the major myths about a reverse mortgage — you are not selling your house to the mortgage lender. As far as your ownership of the your house is concerned, it is the same situation you (or your heirs) would be in if you have a traditional mortgage. When the house is no longer yours (or your primary residence), the loan must be repaid. In fact, one advantage of the reverse mortgage is that, should your house sell for less than what is owed to the lender, the lender cannot come after you or your other assets to satisfy the loan. This is because, as part of the loan fees, you pay for an insurance policy required by the FHA that will make up the difference between the proceeds of the sale of the home and any shortfall in the loan payoff. Writing a check for the balance due (from financial assets or a new mortgage). Selling the home and using the proceeds (plus the FHA insurance, if necessary) to pay off the loan. Letting the lender sell the home to satisfy the loan (and any proceeds above the loan payoff will still be paid to you or your heirs). Origination fees are based upon the home's value, not the costs associated with obtaining the loan. The maximum fee that can be charged is set by the government. Closing costs tend to be much higher than those associated with a traditional mortgage. Normally, the closing costs are rolled into the loan amount, but can be paid directly. One difference is the cost of mortgage insurance, which is required for a reverse mortgage, but may be optional for a traditional mortgage. The insurance premium for a traditional mortgage is based upon the amount of the loan, which is decreasing as payments are made. For a reverse mortgage, the premium is based on the value of the house, and the loan amount typically is increasing. Since the loan is not required to be paid off until the borrower leaves the house, the amount owed will increase over that period of time. Therefore, the available credit must be less than the current value of the house, and is lower for younger borrowers since the loan will have more time to grow. In addition to the age of the borrower, the interest rate of the mortgage will also be a used in the calculation of the PLF, with a higher interest rate reducing the initial amount available for the mortgage. An expected rate is used, which is the sum of the 10-year LIBOR rate and the lender's margin. Note that the expected rate is not the rate charged as interest on the loan, but the rate at which the PLF grows — when used as a line of credit, the maximum credit grows over the life of the loan at the expected rate. Interest on the loan balance grows at the effective rate, which is equal to sum of the one-month LIBOR rate, the lender's margin and the annual Mortgage Insurance Premium (MIP), currently fixed at 0.5%. Rather than get bogged down in these complications, there is an online reverse mortgage calculator available to provide a good estimate of the net amount available from a HECM. How Can You Use A Reverse Mortgage In Your Financial Planning? Fund home renovations to allow for aging in place, such as ramps, accessible entrances, etc. You MUST pay all taxes, insurance and repairs required to maintain FHA standards. If you don't, the property can be forced into foreclosure. A corollary to this is that, if you're used to escrowing taxes and insurance through your traditional mortgage payment, you will now have to take care to make these payments yourself. Once you no longer use the home as your permanent residence, you must pay back the loan. You do not have the ability to turn it into a rental property when, for example, you downsize your living arrangements. If you (and your spouse, if he or she is a co-borrower) move to a full-time care facility for more than a year, the loan also becomes due. Fewer financial assets will pass to your heirs, because the reverse mortgage will almost always decrease the equity in your home. It is essential that you have a discussion with them before closing on a reverse mortgage so that all heirs are aware of the possible ramifications. The interest accumulating in the reverse mortgage in not tax deductible until it is paid, which, in most cases, will be when the mortgage is paid off. If your spouse is not a listed borrower because he or she was under 62 years of age at the time of the loan closing, and the borrower passes away, there are special rules that must be followed to prevent that spouse from having to repay the loan immediately instead of remaining in the home. You base your decision only on the hype and marketing, instead of consulting with your financial advisor. If you've gotten this far, you may be wondering how a mortgage company can make any money on a reverse mortgage, since their costs are often rolled into the amount borrowed. The answer is that they sell these mortgages in the investor market for reverse mortgages. Because these mortgages are insured by the FHA, Ginnie Mae (technically, Government National Mortgage Association) guarantees that investors who buy the bonds will receive principal and interest payments. These securities can be more attractive to investors seeking risk-free returns, because unlike traditional mortgages, they are probably not going to be repaid early when interest rates decline, and the underlying mortgages are insured by the FHA.